• Brian Last asks Jim Cornette listener questions about current wrestling and wrestling history with great chemistry between the two. 0:00 – Intro. Brian is sick! 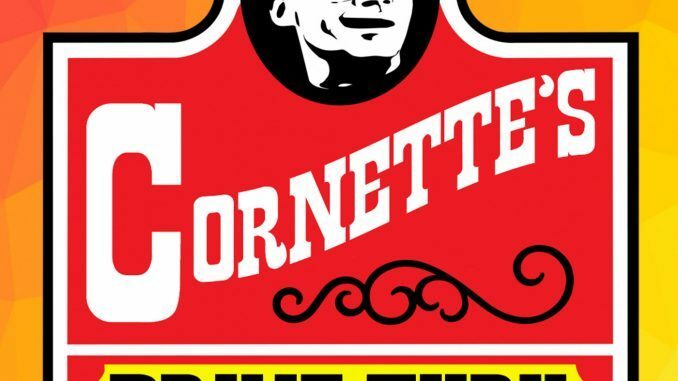 It’s a busy time for Cornette’s Collectables at jimcornette.com. C2E2 and Have a Beef with Jim Cornette in Chicago is getting closer – March 23rd. 12:59 – Bruce Prichard has often called a title belt “nothing more than a prop.” does Jim agree? In the purest sense title belts are a prop but you should never portray them as such on TV because it’s supposed to be “a money thing”… main events on big shows should be for the title. Although Prichard may think this way, Vince always had more reverence for the title belt and the company’s champion. It’s common sense really, in storyline the belt should be one of the most important things on the show. 15:26 – If a wrestler has an idea regarding the direction of his character, who should he talk to: the agent, the writer or the higher ups? Jim: “I don’t know these days. Maybe you just oughta keep you f*****’ mouth shut.” In the old days, you’d simply approach the booker and hope he’d listen to you. Drastic changes would only really happen when a wrestler moved to a new territory i.e. Sugar Bear Harris becomes Kamala because “you couldn’t just change your s*** while people were looking at you… to me, that (radically changing wrestler gimmicks overnight) was an exposé.” Makes sense, gives the wrestler time to go on a journey. 20:14 – What does Jim prefer referees to wear: the black and white stripes or the “traditional” blue shirt and black bow tie? Blue shirts/black bow tie was only tradition in the WWF, referees in most places would wear the stripes. Jim’s not really a “stickler” for any form of attire – “if it looks like an official, I can live with it.” Jim mocks some of the referees who “look like they just got off changing oil at the Jiffy Lube” at indy shows today as well as out of shape refs because you rarely see that in other sports – referees usually have a good fitness level. 28:47 – Good discussion on The Freebirds centred on “the workhorse of the bunch” Buddy Roberts. 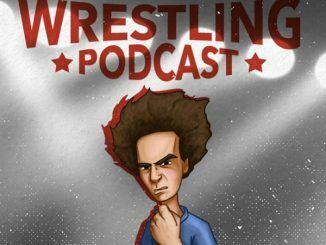 34:40 – What kind of effect would social media have had on wrestling in the 1980’s? 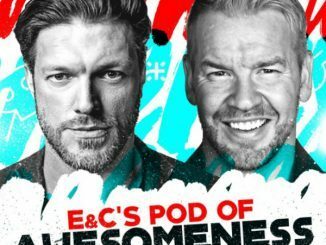 Jim: “It would’ve had an incredibly horrible effect because every wrestler in the business would’ve been divorced, their personal lives would’ve been hell, there would’ve been all kinds of s*** going on.” Jim thinks that promoters in the 1980’s wouldn’t have let their wrestlers expose the business like wrestlers do today on Twitter and I’ve got to agree. I can’t imagine Bill Watts giving the ok to holiday photos of heels and babyfaces together being posted and then there’s the possibility of everyone in the crowd having a camera. 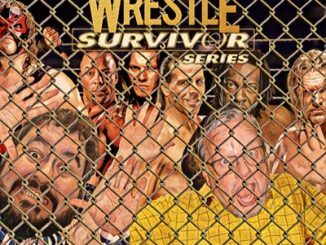 Jim: “Guys would’ve been going to jail on a regular basis for s*** that they just did for fun on the way back from a f*****’ show.’ Kayfabe would’ve been destroyed, “naked wrestlers on airplanes,” etc. 47:19 – In 1989 it was rumored that Bill Watts was in the running for the job of WCW booker. How different would it be if he’d got the job? Well he’d still be working under Jim Herd so it wouldn’t have made much difference! Watts instead of Herd is a “whole different story.” When Watts came in in ‘93 it was more of a money-saving position, for example not wanting to pay Brian Pillman $250,000 a year because he wasn’t drawing that much. Watts tried to bring in a more solid structure but was hampered by previous regimes. 59:24 – Can Jim analyse The Freebirds’ run in Memphis, particularly their TV pinfall victory over Jerry Lawler and Bill Dundee (pinning Dundee)? Before the match Gordy introduced Hayes and Lawler and Dundee had to stand the “like jobbers.” Can Jim offer any insight? The run lasted three months before they moved on to Mid South. Jim watched the entire run. Their match against Lawler and Dundee took place during the week or so that Lawler had a perm and the victory against Lawler and Dundee was meant to be a shocking introduction to the territory. They stayed on top for a few weeks before moving down the card to face Jimmy Valiant and Steve Regal and then onto the underneath card, being replaced higher up the card by The Blond Bombers (Wayne Ferris and Larry Latham w/ manager Danny Davis). Jim: “I have to think… either Hayes and Gordy, being young teenage punks, and they would admit this themselves, ran their mouths and said some s*** that got them some heat or they liked the matches but The Blond Bombers were a better heel, blonde tag team for a southern territory with a manager that could f*****’ interfere and they were established because they’d had the program with Lawler and Dundee and actually they drew better at that point in time because ‘The Fabulous Freebirds’ was a brand new thing.” A young Hulk Hogan, wrestling as Terry Boulder, was also there around that time. 1:13:25 – Outro. They’ve done it again! 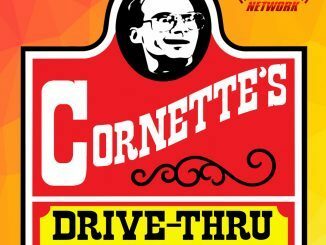 Plugs: Twitter: @TheJimCornette, @GreatBrianLast #CornyDriveThru; CornyDriveThru@gmail.com; JimCornette.com; tinyurl.com/officialcornyyoutube; 605pod.com; kfrpod.com; the law offices of Stephen P. New: newlawoffice.com, Arcadian Vanguard Podcasting Network. 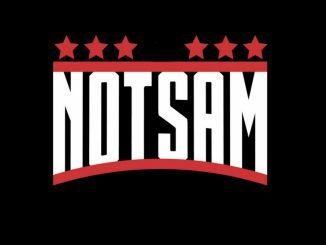 I’m just a guy from England who watches wrestling and listens to podcasts!